I love Forgeworld. 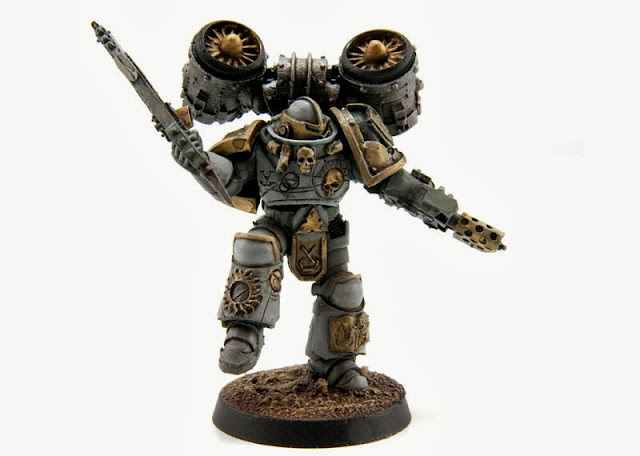 In my wildest dreams I couldn't have expected them to do the Horus Heresy any better than they are currently doing it and with Volume 2: Massacre about to be released they keep releasing great models. First up are the Ashen Circle. 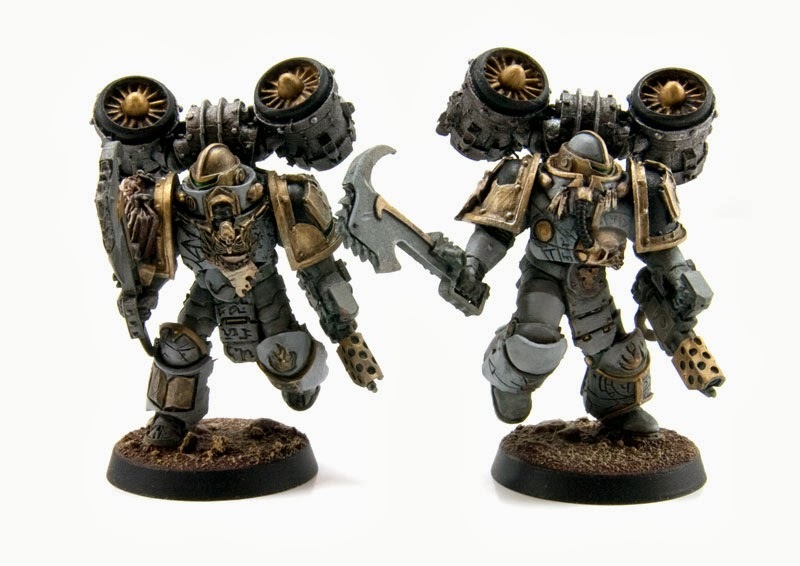 These are a Word Bearers unit that work alongside the Legion's Destroyers. In this case though the target is culture and beliefs. These guys are brilliant models full of character and menace. And now the biggies for me. I have been waiting for these models for so long and their release means that my next army is definitely set, if it was ever in doubt. The first Noise Marines, Emperor's Children Kakophoni. The genesis of these guys was detailed in "Fulgrim" and now we see them in resin. Their release indicates that "Massacre" will also include at least some new units for the four armies featured in "Betrayal". Oh Wow Oh Wow Oh Wow.... Oh Wow seriously those are fantastic. They need to show the loyalists some love! I love the paintjob on those Word Bearers; who would have thought light grey could be so striking? I guess the black and gold set it off just enough. While the space-soldiers-with-axes thing still bemuses me, I have to say that those figures are fantastic; like they've just touched down on their objective and they're about to lay down some heavy-duty religious indoctrination. 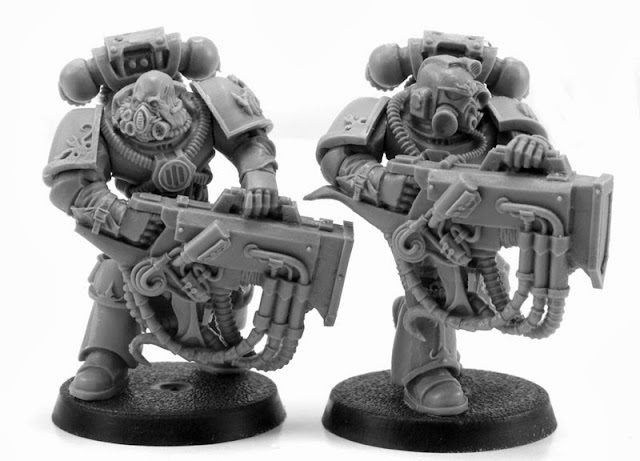 The Noise Marines are pretty choice too; can't wait to see them in their purple and gold colours.